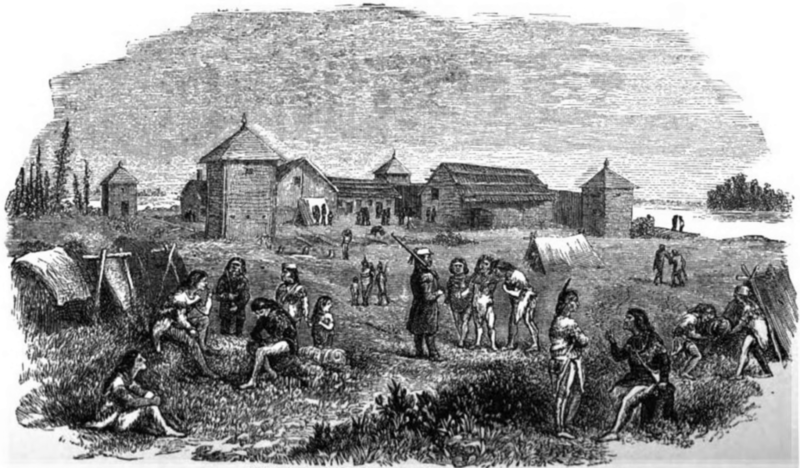 Folks from the Orkney Islands in Scotland impacted the exploration and settlement of Canada by Europeans heavily, particularly through their close connections to the Hudson’s Bay Company. It isn’t difficult to understand why generations of Orkneymen lived and worked in Hudson Bay when you look at the globe. Orkney and the bay both lie near 60°north latitude. The journey from Stromness or Kirkwall to the straights of Hudson Bay would follow roughly the route their Norse ancestors took to the tip of Greenland and the North American coast. The distance is a third shorter than the distance from London to Jamestown, Virginia. Ships from England to Hudson’s Bay regularly put in at Stromness, Orkney. In 1670 Charles II gave a charter to a group of gentlemen including his cousin, Prince Rupert of the Rhine, to form a company in order to seek the northwest passage and exploit the lands adjacent to Hudson Bay. The boundaries were never clear but the charter granted them title to all the land drained by rivers into Hudson Bay, most of it unexplored at the time of the charter. 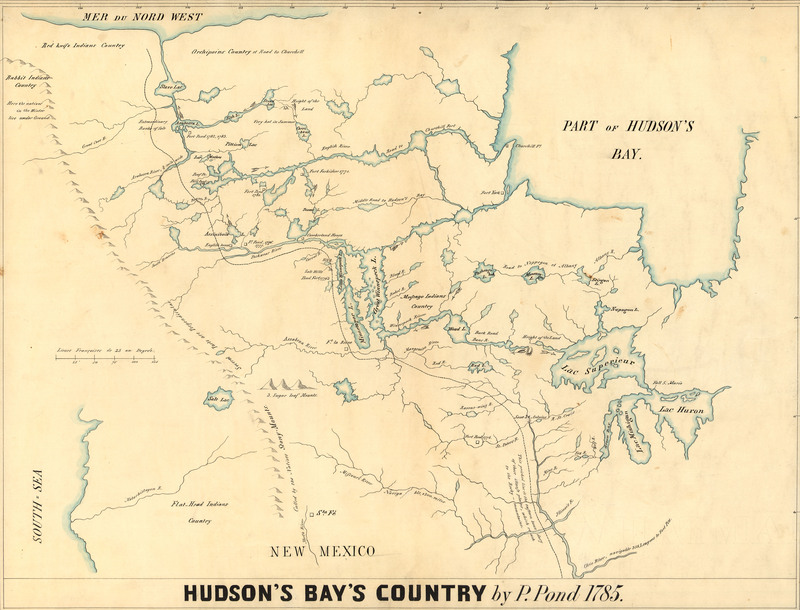 At its height, the Hudson’s Bay Company controlled 3 million square miles of what is now Canada. Initially “exploit” meant the highly lucrative trade in beaver fur. After the treaty with the French in 1763—concluding what the U.S. calls the French and Indian War—the company dominated the fur trade and controlled the trading routes south, eventually absorbing their only competition, the North West Fur Company of Montréal. From the beginning, the men of Orkney played critical roles in the company. 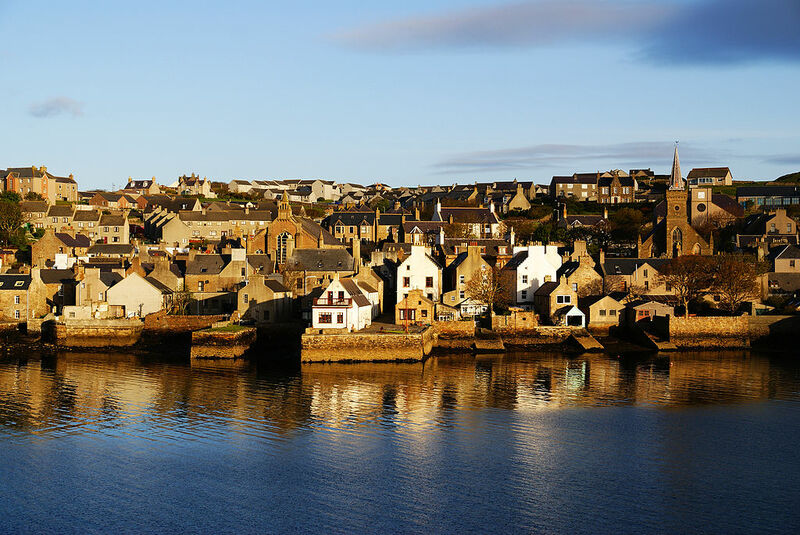 Ships arrived in Stromness, Orkney annually with goods from England to take on additional supplies, hire new workers to five-year contracts, and pick up news and parcels from families of existing workers. Orcadians understood short winter days and long winter nights. If the climate was harsh, well, Orkneymen were used to it. If the work was tough, they were used to that as well. Soon they accounted for 80% of the workers.In 1799 of the 530 men working in the Hudson’s Bay Company post in North America, 416 were from Orkney. Some worked in the forts and trading posts. Some ventured out into the wild. The life of a trader or trapper was risky, but it could be lucrative as well. More than one man went home after five years able to buy land. Another always waited to take his place. Some contributed greatly to the exploration of North American. John Rae, an Orcadian, signed on as post surgeon for the Company’s outpost at Moose Factory stayed for ten years. As I described in an earlier piece for History Imagined,his exploration of the Arctic reaches of North America were unparalleled. Some worked their way up to positions of prominence. William Tomison, signed on with the company as a laborer at age twenty in 1760. He rose to become chief of the Company’s inland operations when it began to expand fur trade westward in the late eighteenth century, although the conflicts with the Montréal traders weren’t resolved until after his death. He retired after fifty years and left the bulk of his considerable fortune to establish a school for the Orkney poor. A more notorious Orcadian employee of the Company, John Fubbister, signed on as a laborer with the Company in 1806. His work was, without question, equal to that of anyone in the company and well regarded. However, Fubbister was in fact a woman named Isabel Gunn, and she was unable to keep up the deception once she became pregnant. After the birth of her baby, she was put to work as a washerwoman, and eventually sent back to Orkney. 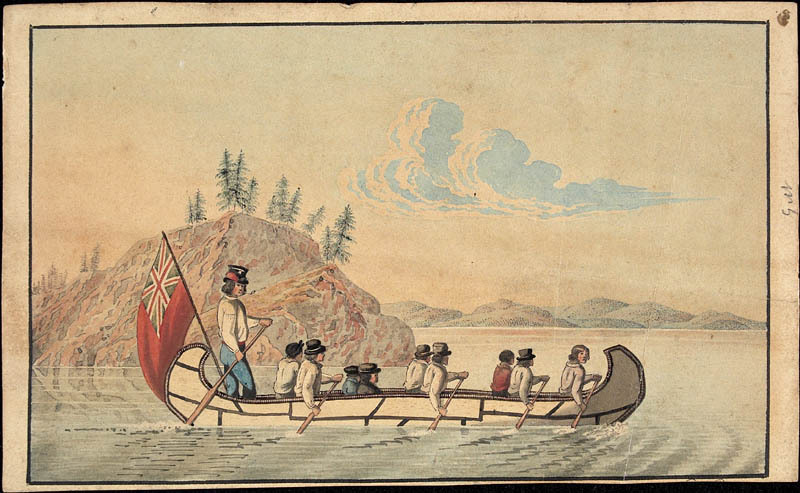 The Hudson’s Bay Company’s impact on Canadian history would be hard to exaggerate. It continued to morph and change as situations around it changed. The company is now an international retail giant, with divisions that include Lord & Taylor and Saks Fifth Avenue. It has served as the outfitter for the Canadian Olympic teams throughout the 21stcentury. The contribution of Orkney to that success could not be overestimated either. The company engaged employees in Orkney over 300 years and well into the 1960s. Many stayed, leaving descendants across Canada, but particularly in the West, leaving their stories and artifacts in the cross-cultural mix. There’s even evidence they introduced the fiddle and Scottish dance into Cree indigenous culture. Caroline Warfield’s great passions are faith, family, history, and travel. All four inform her writing in which she lets her characters lead her to adventures while she nudges them to explore the riskiest territory of all, the human heart. In addition to History Imagined, she is a regular contributor to The Teatime Tattler, a blog in the shape of a fictional nineteenth-century scandal sheet. A trip to Orkney last year has inspired two stories so far and at least one other History Imagined post, The Surveyor in Snowshoes, about John Rae. Her next full-length novel, Book 3 in her Children of Empire series, this one set in Canton and Macau will launch in July 2018. It will be entitled The Unexpected Wife. A very interesting post. I am drawn to the Orkneys and hope to visit next year. Love hearing more about the Hudson’s Bay Co. The tidbit about Isabel Gunn was especially fun. Nice work, Caroline.